China imposed a ban on Sunday on transporting pigs and pork products from provinces which have reported outbreaks of African swine fever and will shut live hog markets in the regions, as authorities found a sixth case of the highly contagious virus. The measures announced by the Ministry of Agriculture and Rural Affairs are the most drastic since the country discovered its first-ever case of the deadly virus a month ago, and come amid growing concerns about its spread through the world’s largest hog herd.China has discovered six cases of the disease in five provinces: in northeastern Liaoning, central Henan, and the eastern provinces of Anhui, Jiangsu and Zhejiang. The prohibition will effectively prevent slaughterhouses and meat processing factories from using pigs or pork from affected regions. Stopping pigs and pork products from being transported out of those regions will also cause major disruption to businesses from farmers, slaughterhouses and meat processors. In Henan province, one of China’s top pig-producing regions, stocks have jumped because farmers there can no longer sell animals to other parts of the country, said an agent surnamed Ni who trucks pigs around the province. “I haven’t had any business in the past two days because there are too many pigs in the market. Prices are bad and there is not much demand,” he said. Ni said he used to transport up to 700 pigs a day, but current volumes are around 700 a week. 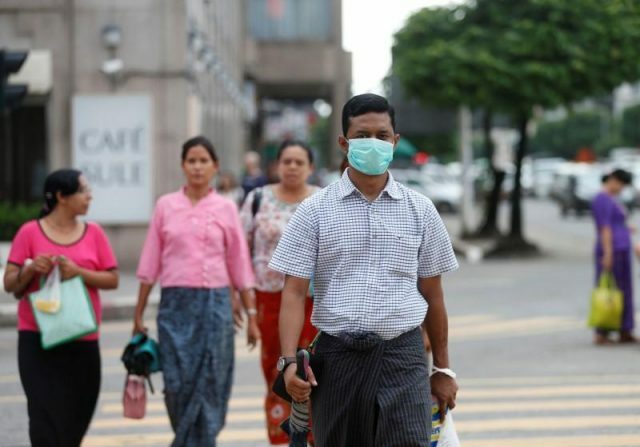 The government also said live hogs from unaffected provinces cannot be transported through those that have reported infections, a move expected to cause major disruption to the country’s pig trade. Until now, authorities had only stopped transportation of pigs and products and shut live markets in and around infected areas. “Costs will go up and it will take much longer to get pigs to the consumption areas,” said Ni. Shares in meat processer Shandong Longda Meatstuff Co Ltd fell 6.3 percent on Monday morning to 6.8 yuan, while major feed and pig farming firms Beijing Dabeinong Technology Group Co Ltd and New Hope Liuhe Co Ltd were also down, by 2.6 percent and 1.5 percent respectively. In the sixth outbreak, 134 hogs died from the disease in Xuancheng city of eastern Anhui province, the second in that province, the agriculture ministry said in a separate statement. Xuancheng city is around 70 km (45 miles) southeast of Wuhu city, where another African swine fever case was reported last week. The ministry said it had culled more than 38,000 hogs as of Sept. 1 as it tries to contain the outbreak. Epidemic culling has basically finished in Liaoning, Henan, Jiangsu and Zhejiang provinces, where a total of 37,271 hogs were culled, while another 1,264 hogs were put down by Saturday in Anhui province. Last week, the government warned it cannot rule out the possibility of new outbreaks, highlighting the challenge for the government in controlling the disease. The virus is transmitted by ticks and direct contact between animals, and can also travel via contaminated food, animal feed and people moving from one place to another. There is no vaccine, but it is not harmful to humans.